Can we visit Lord Sri Shaneeswara Temple Everyday which is nearby? No, we should not go to Lord Sri Shaneeswara Temple Everyday which is nearby (Homes, on the way to office...). We Should only visit on some occasions like Shani Pradhosam, Shani Peyarchi etc..
Now the question arises, which Shaneeswara Temple should we visit? There are only two temples in India, one is located in the North which is known as Shani Shingnapur (70 Kms from Shirdi). 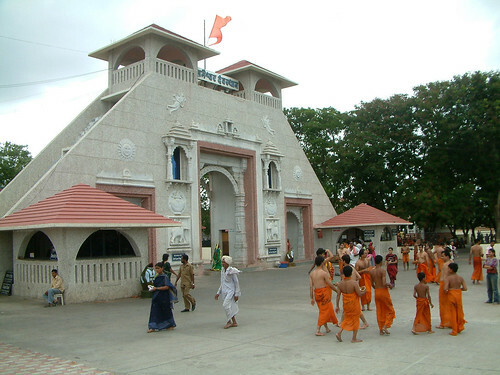 The entrance of Shani Shingnapur Temple is shown in first picture above. And other one is located in the South which is known as Thirunallar Shani Temple. The Main Entrance or Gopura of Thirunallar Shani Temple is shown in second picture above. Is circumbalating Navagrahas Correct or can we circumbalate Navagrahas everyday? According to Guruji circumbalating Navagrahas is wrong. We should not circumbalate Navagrahas. The reason behind this is, Navagrahas are already circumbalating us and they like to be free, what we do is - we perform Astabandhana and install the idols in the temple. 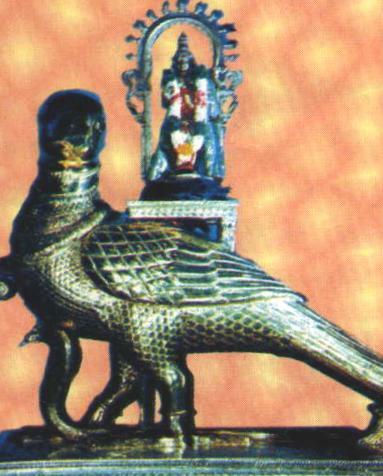 Guruji also give us few examples of historical temples like Tirupthi in which we cannot see Navagrahas installed. Is showing our Back to Lord Shaneeswara Correct? No, we should not show our back to Lord Shaneeswara Bhagwan. 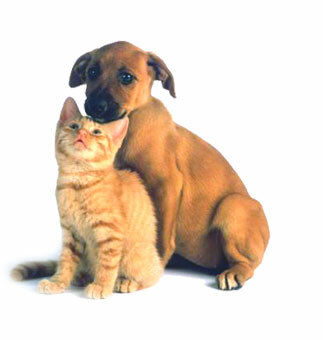 Can we have pets like Dogs, Cats at home? No, we should not have pets at home. Keep the pets outside the home, No pets should enter the home. If we have a space or compound at homes we can grow pets but make sure they dont enter your home. Even if one hair of Cat falls in the home, it is daridra.